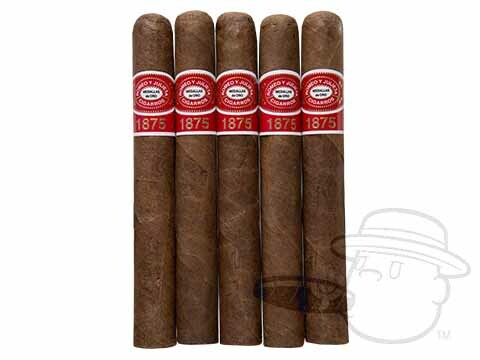 Romeo y Julieta Reserva Real cigars are wrapped in a silky Ecuadorian Connecticut wrapper, reinforced with Nicaraguan binder, and filled with rich Dominican and Nicaraguan filler. These mellow and flavorful cigars impart notes of coffee and white pepper with a creamy finish for a taste that is distinctly Connecticut. This is absolutely my favorite cigar!!! Very smooth and consistant. Would highly recommend to anyone! The Reserva Reals are among my favorites, and I love the Magnum size. It has a nice even flavor throughout the smoke. Burn time has been between 90 and 120 minutes. This is one of my go to cigars. It has a great draw, smooth burn and great taste through the whole cigar. Best go to and every day cigar for me. Consistent draw and taste, I highly recommend this cigar to anyone looking for a smooth, mild to medium cigar. This cigar is, and has been a favorite of mine for years. Was very pleased to find a great price on BCP. Romeo's are always a good buy! 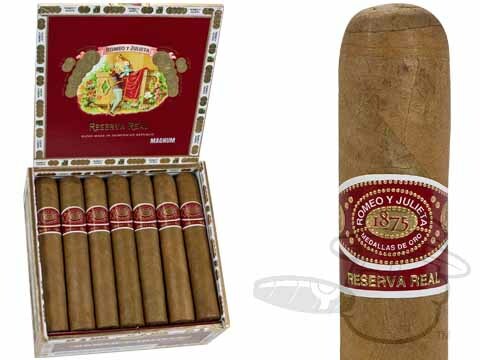 Romeo Y Julieta Reserva Real Magnum is rated 3.8 out of 5 based on 10 customer ratings.